With more than 3m passengers passing through each year, Aberdeen Airport is a busy, thriving Scottish transport hub. With so many travellers to accommodate, the airports parking facilities have to suit people away for only a few days or on longer holidays, as well as passengers who prefer to park onsite at the airport or who dont mind hopping on a transfer bus. Whatever your preference, Aberdeen Airport parking neednt cost you a fortune. Travel Supermarket has tracked down the best deals on parking at the airport, whether for short or longer stays. Use our simple search tool above to find a parking deal that suits you. The short-stay car park at Aberdeen Airport is the only car park within walking distance of the terminal. It offers an undercover car park and is ideal for those travelling with young children, disabled passengers or if youre carrying a lot of luggage. Its only a two-minute walk from the car park to check-in, but youll be surprised at the great deals available. The long-stay car park at Aberdeen Airport is an official car park located only half a mile from the terminal and with a transfer time by bus of under two minutes. The transfer is included in your booking and runs on demand, every few minutes. The car park has full perimeter fencing and regular security patrols, as well as the Park Mark for safety  giving you peace of mind about your vehicle when youre away. Aberdeen Airparks are a hit with passengers  located offsite, theyre a great way to save money, with only a five-minute transfer to the airport. Whats more, friendly staff do the parking for you  all you have to do is pull into an arrival bay and hand over your keys. The car park has stringent security measures, including 24-hour patrols and fencing, and a Park Mark Award for safety. 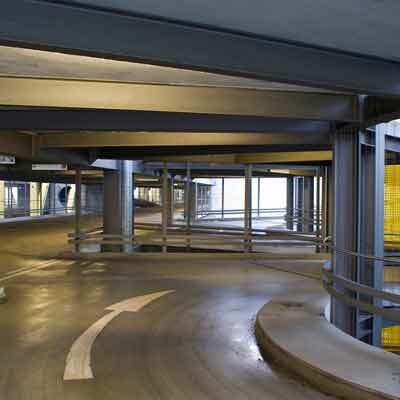 The best way to find cheap airport parking is to book online and in advance. The earlier you book, the better your chance of grabbing a great deal. So as soon as your flights are confirmed, use our quick and easy search tool to find a parking spot at Aberdeen Airport. Look out for our Leisure Specials. You cant change the details of the ticket and theyre non-refundable, but if youre sure of your travel plans theyre an incredible deal. Whether you choose parking on or off-site, rest assured that the security of your vehicle is of utmost important to us. High levels of security at all our car parks include CCTV and regular patrols, and most have the Park Mark Award for security. If you need a place to rest your head before or after an Aberdeen flight, look no further. Travel Supermarket has great deals on quality hotel rooms close to the airport. Begin your holiday in relaxed style with an overnight stay at an airport hotel, plus theres the peace of mind of knowing youre only moments from your departure point in the morning. The elegance and grandeur of the Thistle Hotel never fail to impress. At only an eight-minute walk from check-in, its the ideal place to start or end your holiday. Only 10 minutes from Aberdeen Airport, the Courtyard Marriott is a comfortable, contemporary hotel with excellent leisure facilities to help you unwind. Theres a complimentary 24-hour transfer bus to the airport. Half a mile from the airport, the Menzies Dyce Hotel has a brasserie serving Scottish and continental dishes, and there are regular transfers to the terminal. The Britannia Hotel is great value-for-money. Theres a heated indoor pool, a sauna and steam room, and transfers to the airport take only 10 minutes. Travelling on business and need a quiet spot to send a few emails before the flight? Or perhaps you want to add a little luxury to your holiday? In either case, the Servisair Lounge at Aberdeen Airport awaits. The lounge is a great escape from the hubbub of the busy airport terminal. You can feel like a VIP and spend up to three hours before you fly in the comfortable contemporary surroundings. Snacks and refreshments, including alcoholic beverages, are included in the price, and wi-fi is free throughout.